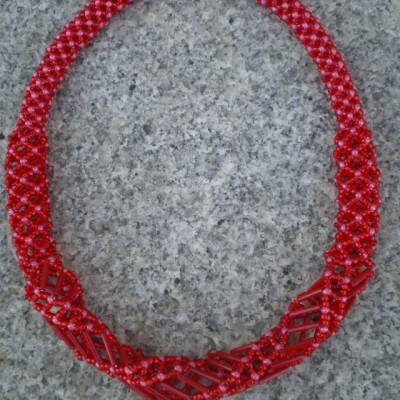 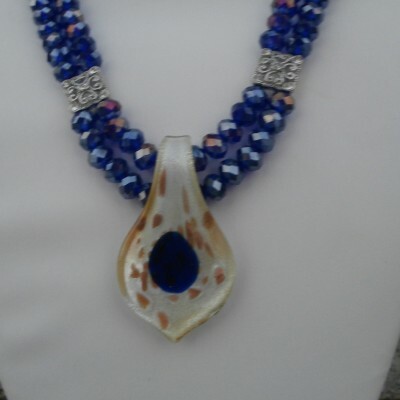 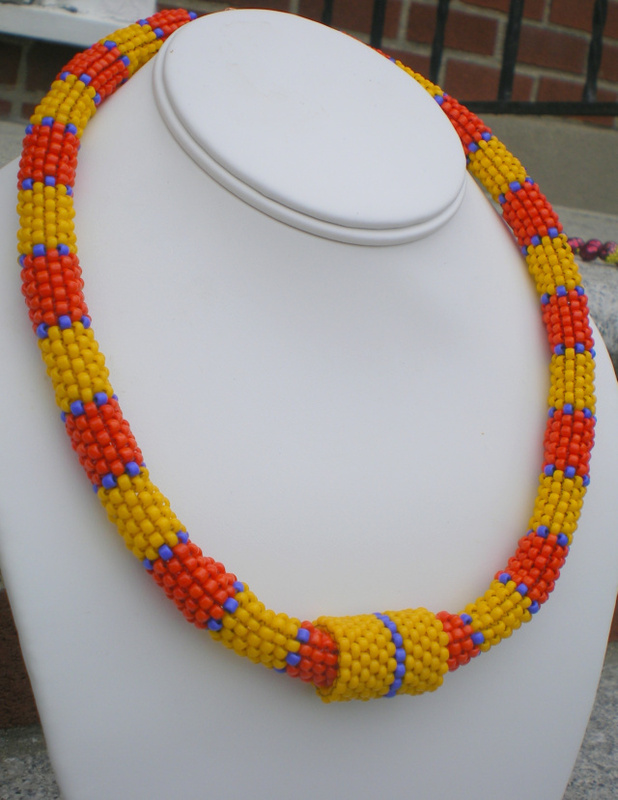 20″ Long handmade bead woven necklace, bright and bold. 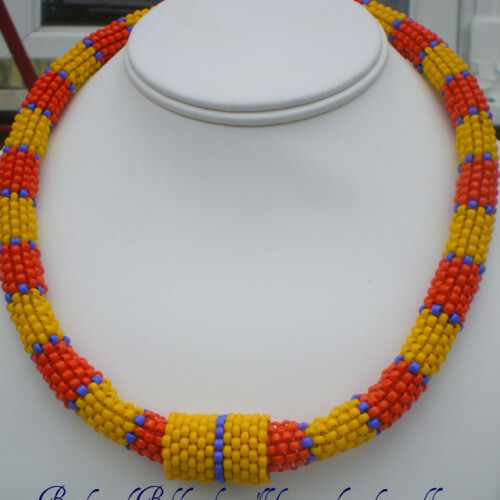 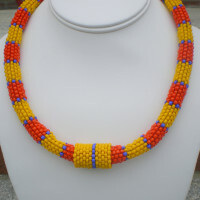 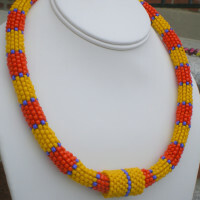 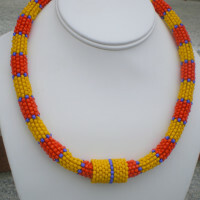 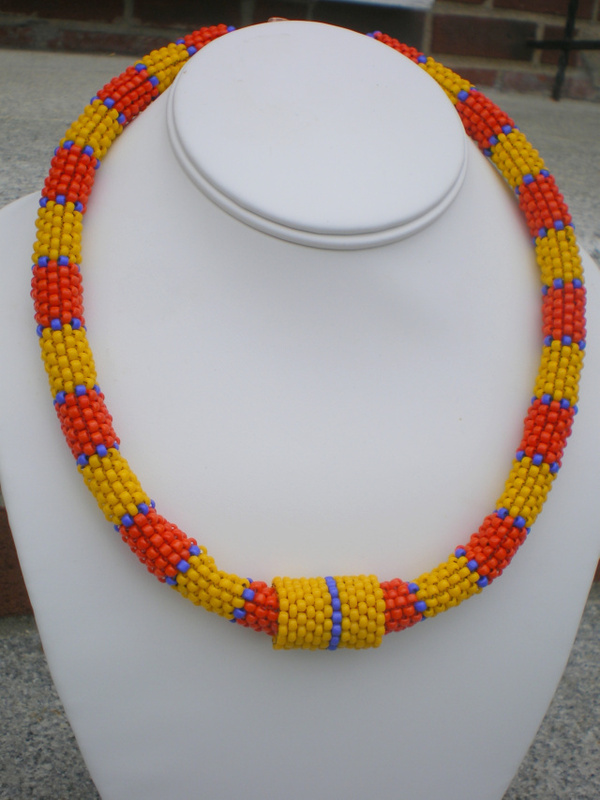 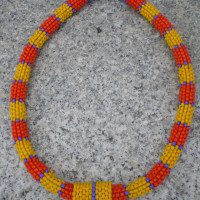 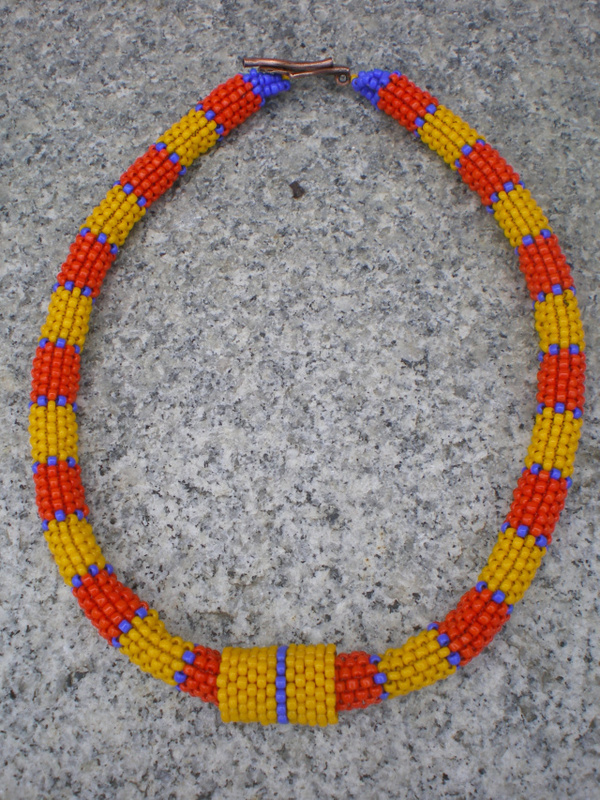 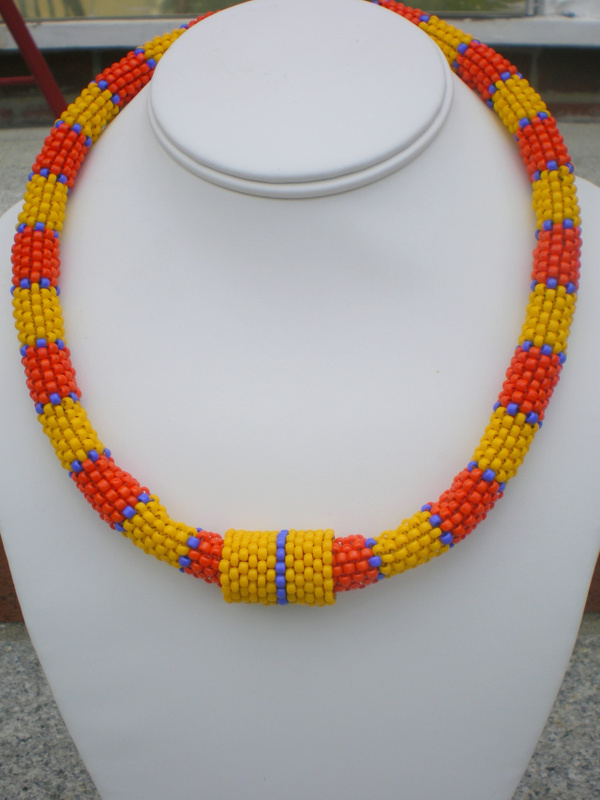 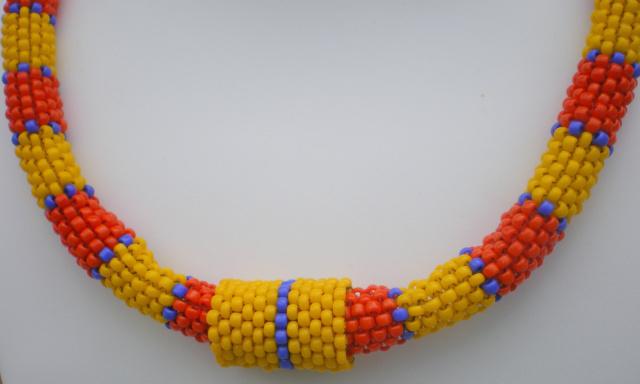 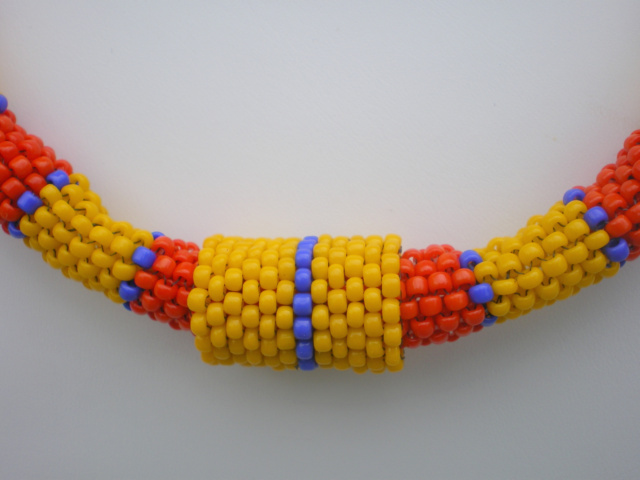 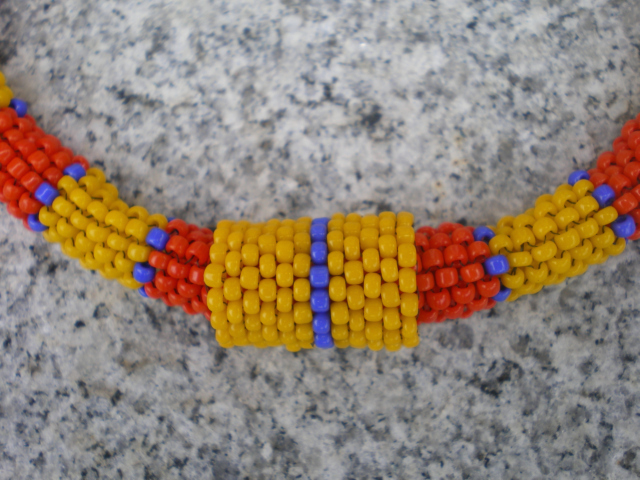 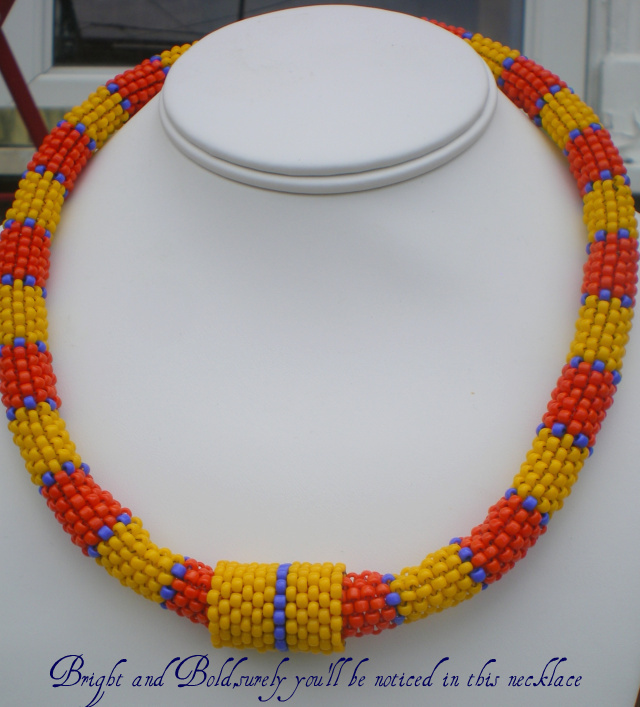 Dark orange and yellow beads in an alternating color scheme with royal blue beads separating the two colors. 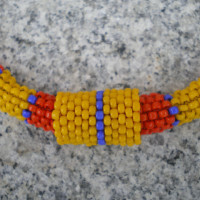 Yellow and blue focal point in the front. 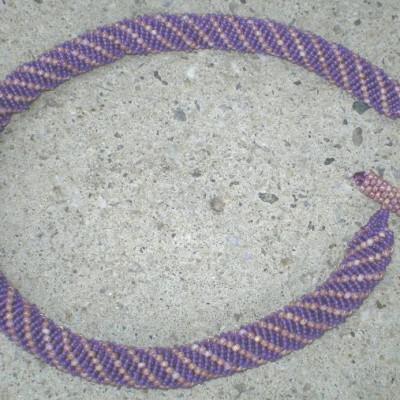 Copper toggle clasp. 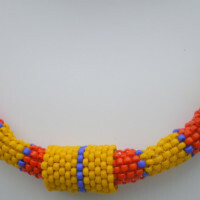 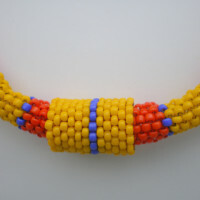 Be the first to review “Fiesta Yellow And Orange Beadwoven Necklace” Click here to cancel reply.